Dominating the valley of the Durance, between the Ecrins National Park and the Serre Ponçon lake, is a small mountain hamlet at the same time calm, in full nature and close to all the activities: This is where our large and beautiful cottage "Parfums d'Etoiles", independent, in traditional house renovated with noble and ecological materials giving pride to larch, which gives it a very warm character. Adjoining the house of the owners who ensure a discreet presence. Independent access by private land, beautiful bucolic green space and a large terrace of 70 m2. Beautiful south orientation with panoramic views .. Large living room with integrated kitchen, dining area,. Upstairs 4 bedrooms: 10 beds 1 pers. of which 2 twin beds per room. Room of water or room of water-toilet in each room and toilet with each landing. Solar / gas heating, not included. Dishwasher, washing machine, freezer. Garden equipment, bbq, bread oven. Private parking. Numerous terraces and a playground spread over 2000 m2. Equipment room (heated in winter). Possibility of an extra room or a relaxation area. Walks from the cottage in the forest to a torrent, along canals or balcony - hikes all levels, very varied, 20 minutes by car, the legendary passes of the Alps by bike, beautiful mountain bike routes, all water sports and of course the lake of Embrun, very well equipped with its supervised beach. 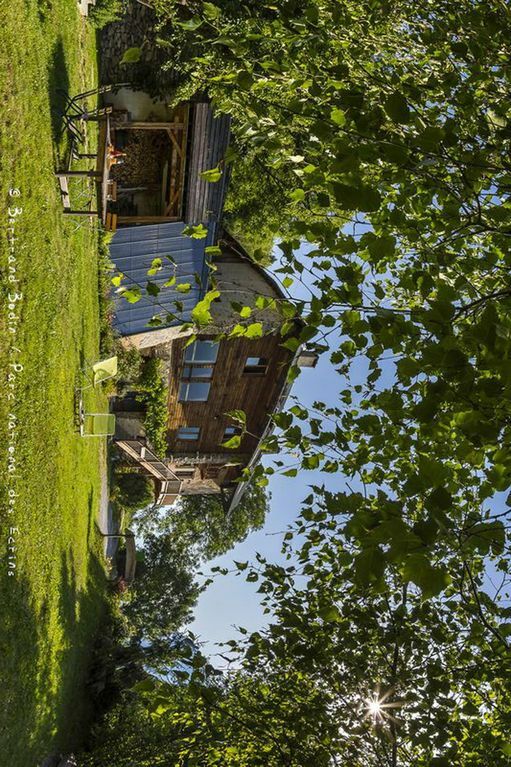 The cottage is labeled Eco-Gite "Gites de France" and has the mark "Esprit Ecrins National Park". The Abbey of Boscodon discovered forest and its museum.